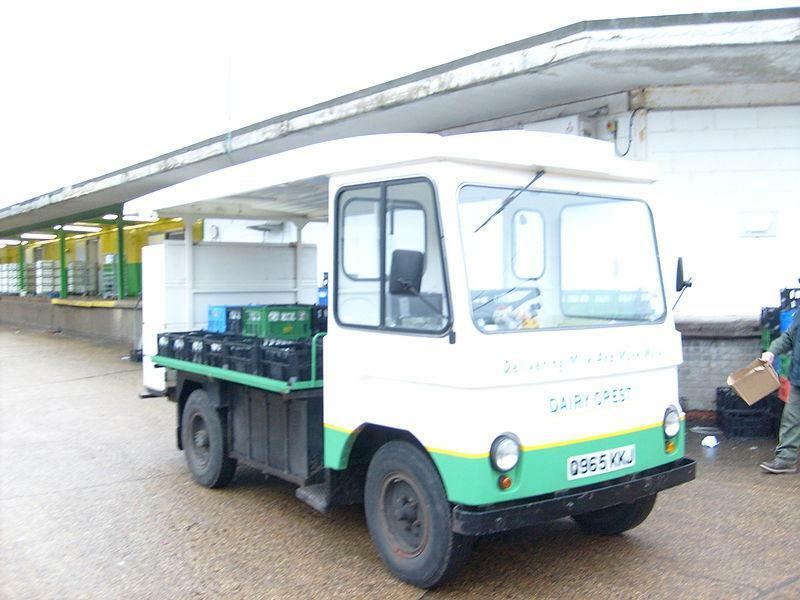 Electric trucks come in all types and sizes - Delivery truck, rubbish truck, milk truck, semi, forklifts, or even a tractor. Some are hybrid and some are fully electric. A look at electric truck sales and forecasts. The worldwide market for electric trucks is expected to grow at a CAGR of roughly 54.0% over the next five years. Apart from electric trucks, we will see electric jeepneys, electric tuk-tuks, electric rickshaws, electric tricycles and more. Some companies set to benefit from the electric truck boom. This article was first published on Trend Investing on August 24, 2018; therefore all data is as of that date. 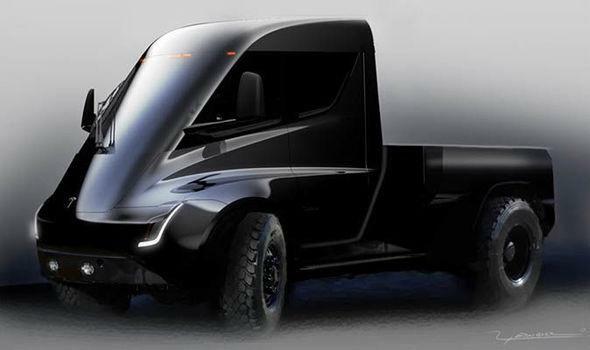 The electric truck market is about to take off. 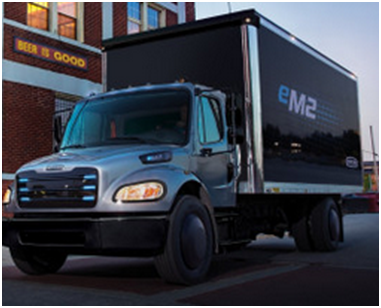 Electric trucks will be the next huge driver of EV metals demand. Note most will have lithium, but only some will have cobalt. As usual, China will lead the charge. It is expected that China, Europe, and North America will account for more than 70% of total sales of electric trucks. Government incentives, cheaper lithium-ion batteries, longer range and improving charging networks are all helping to drive change. 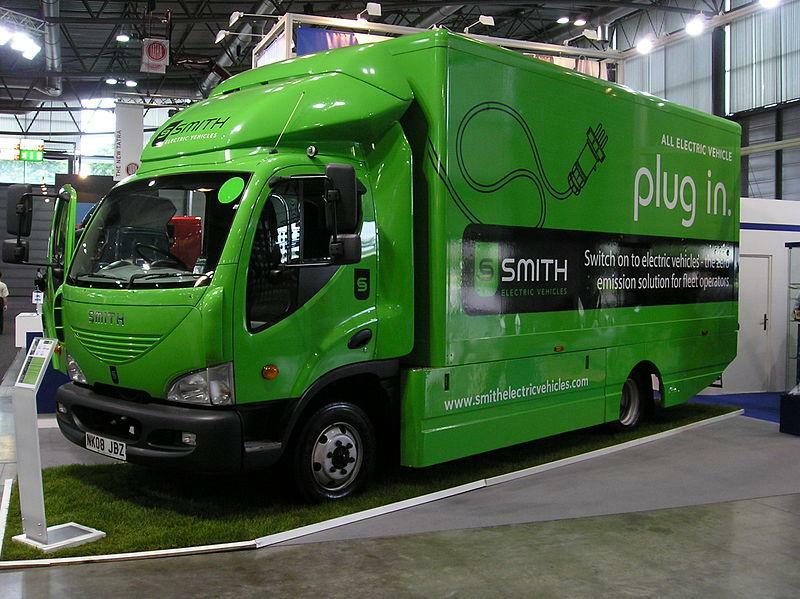 Electric trucks are becoming a cheaper alternative to traditional trucks, while creating no local pollution. Due to the very high efficiency of electric powertrains, running costs are much lower, while purchase cost is (as of 2018) similar or slightly higher. Due to their simplicity, maintenance costs are also much lower. Daimler (OTCPK:DMLRY) say they will be starting electric truck production in 2018 with a medium-duty semi (eM2) and a heavy-duty semi (eCascadia). The eCascadia will have a 550-kilowatt-hour [kWh] battery pack and will go 250 miles on a single charge and will 80% charge in 90 minutes. The eM2's 325-kWh battery pack can be recharged to 80 percent in 60 minutes and will have 230 miles of range. 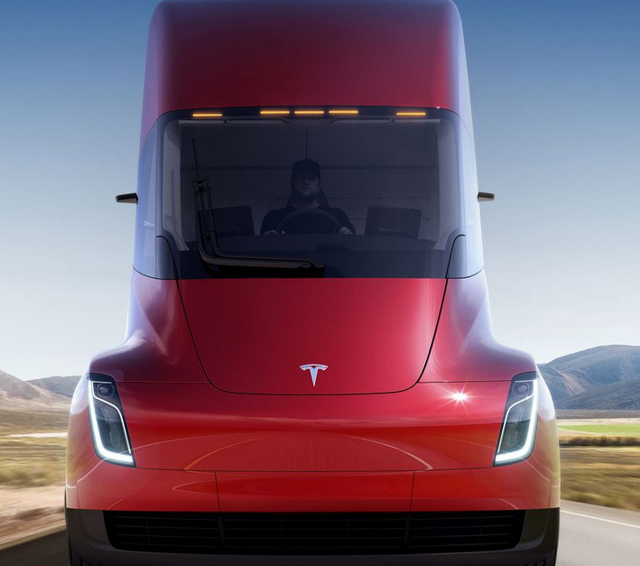 Tesla (NASDAQ:TSLA) has plans and orders to produce fully electric semis. This will most likely begin around 2020/2021. The Tesla electric semi - A 400-mile range with 30 minutes of charging. As the chart below shows, electric trucks are still only a very small market reaching 31,000 global sales in 2016 and forecast to rise above 100,000 by 2020. 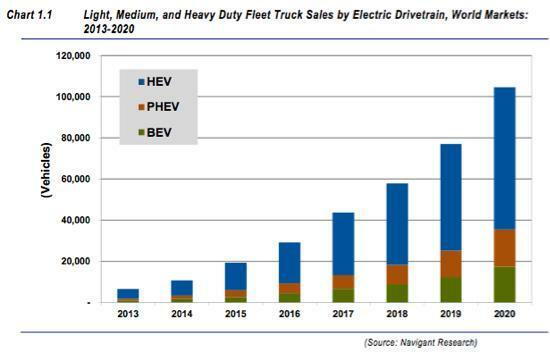 The Navigant forecast clearly shows the expected rapid growth to come in the electric truck market. Initially, hybrid will dominate, followed later by all electric, as what occurred with electric cars. 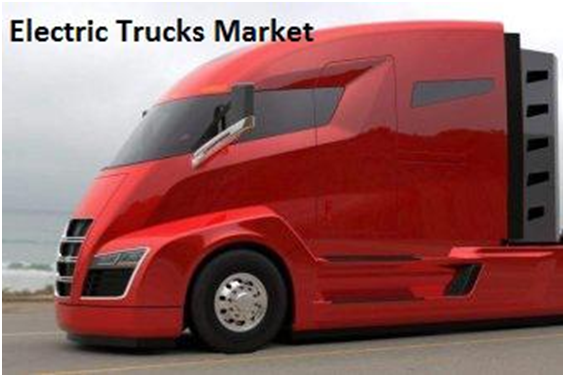 Market Research Nest - The worldwide market for electric trucks is expected to grow at a CAGR of roughly 54.0% over the next five years, from US$590 million in 2017 to reach US$7,870 million in 2023. Frost & Sullivan (AutonomousVehicleTech.com article) - "The global electric truck market, comprised of the light/medium/heavy-duty hybrid and full electric truck segments, is expected to reach more than 2.25 million units by 2025. China to contribute 60% of global sales. Key factors, including a policy shift toward electric powertrains, incentive programs, strengthening emission regulations (particularly at urban centers), and rapid technology advancements, will augment the sales growth." 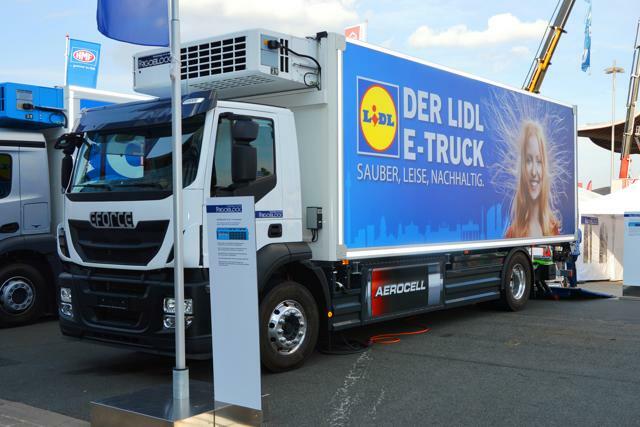 ReportLinker report - "Executive analysis of electric truck market, forecast to 2025. Chinese thrust to propel global light-medium-heavy duty electric truck market to more than 2.5 million units in annual sales by 2025." Navigant (2017) forecast - "Global annual sales of electric trucks are expected to reach 332,000 by 2026." Note: The above forecasts vary from 332,000 to 2.5m. This is mostly because the 332,000 target excludes light e-trucks, and the 2.25m (and 2.5m) targets include light e-trucks such as pickups, by 2025/26. 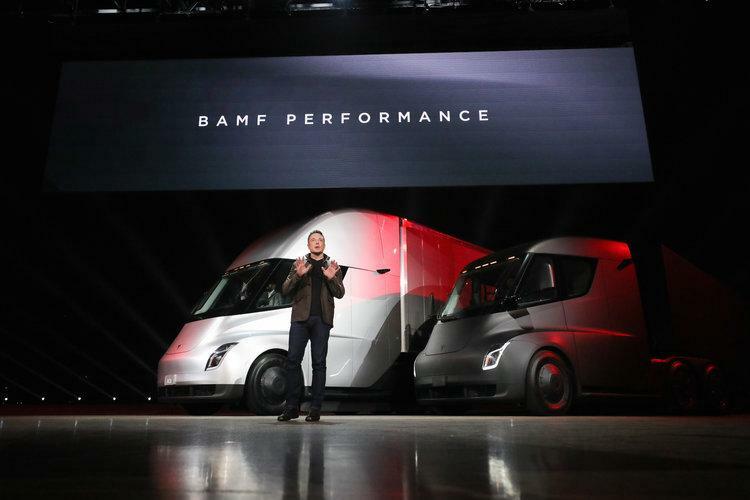 On November 16, 2017, Tesla launched their fully electric semi truck. In February 2018, Trucks.com reported: "In a recent conference call with Wall Street analysts, Tesla Inc. (TSLA) Chief Executive Elon Musk predicted the company would be delivering 100,000 electric heavy-duty trucks annually four years from now." On May 22, 2018, Electrek reported: "BYD to deliver a fleet of all-electric trucks to San Francisco Goodwill." In June 2018, Daimler releases 2 new electric trucks to counter the Tesla Semi (more below). On June 21, 2018, CleanTechnica reported: "BYD opens up about its electric truck plans. 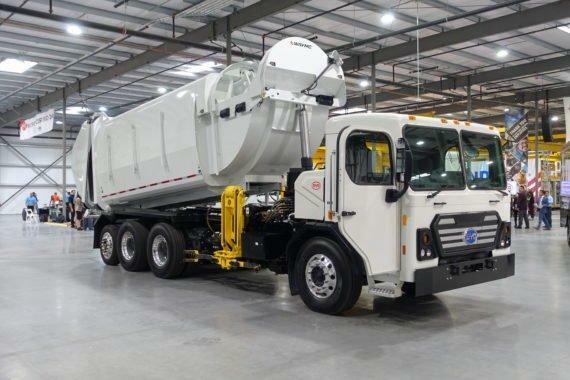 BYD's recent sale of 200 electric refuse trucks in Brazil and 500 refuse trucks in China are evidence of just how fast the vehicles start moving when they're available for customers." 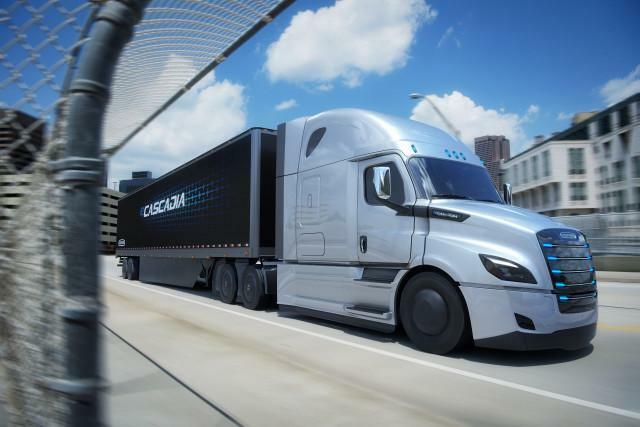 On July 12, 2018, CleanTechnica reported: "Electric trucks are coming. The decision of global logistics company DHL, the biggest buyer in the world of trucks, to design and build its own range of electric trucks is a game changer. They acquired a university startup, called Scooter, and now are producing these trucks with a view to having 35,000 of them on the road by 2023." On August 21, 2018, Reuters reported: "Brazil's Ambev plans to add 1,600 electric trucks to fleet. Brazilian beer maker Ambev plans to add 1,600 Volkswagen (OTCPK:VLKAY) electric trucks to its fleet, making it the largest fleet of its kind in Brazil, and which would be exempt from new fixed minimum freight fares for diesel truckers. Ambev said ownership of the vehicles, which will replace older trucks, will be with 20 logistics companies that distribute Ambev's products. It declined to name the companies. With the electric trucks, about 35 percent of Ambev's fleet will be electric, which the companies said will save about 30,000 tons of carbon emissions per year. It expects the 1,600 trucks will be delivered by 2023." "200 e-jeeps to roll out during SoNA. The transportation department is seeking to launch around 3,000 units of the e-jeepneys by the end of the year. The target is at least 180,000 units in three years with the Development Bank of the Philippines [DBP] providing P1.5 billion to kick-start the program." 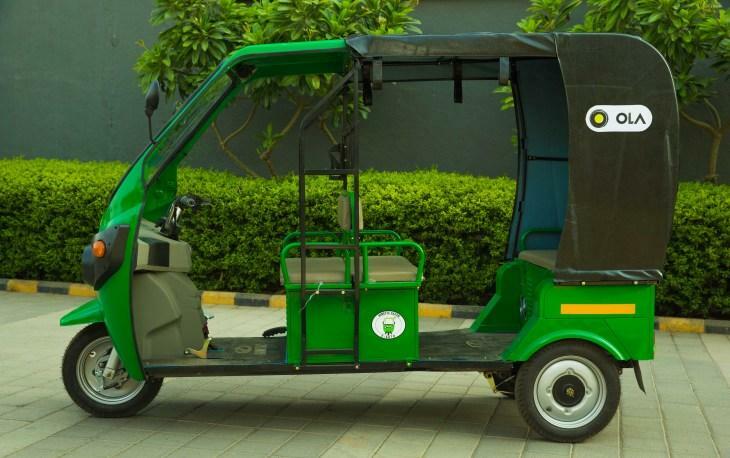 On August 10, CNBC reported: "Fully-electric tuk-tuks are changing the way people get around." The article refers to Thailand. 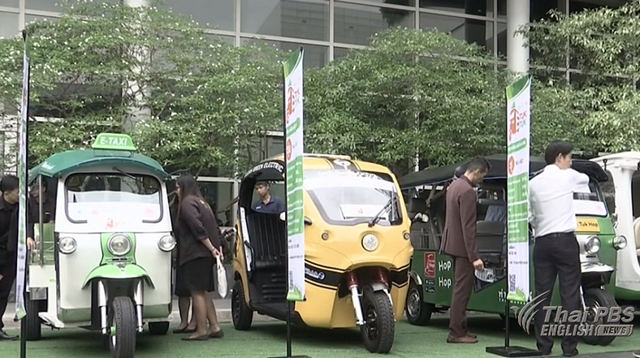 "Thai ministry announces plan to convert gas-powered tuk-tuks to electric vehicles. Thailand's Ministry of Energy announced some big plans for the country's humble tuk-tuks. Not only do they plan to export electric versions of the vehicles to three European countries, they also plan to convert the country's 22,000 existing LPG (liquid petroleum gas) powered tuk-tuks to electric-powered over the next five years." "Ola will add 10,000 electric rickshaws to its India fleet over the next year. The program, called "Mission: Electric", is part of its ambitious plan to put one million electric vehicles on the road by 2021." AB Volvo (OTCPK:VOLAF) (Sweden), Alke XT, Beijing Automotive Group Co. (BAIC) [HK:1958](OTC:BCCMY), BYD Co [HK:1211] (OTCPK:BYDDF) (OTCPK:BYDDY), China National Heavy-Duty Truck Group Co., Ltd., Chongqing Ruichi, Cummins, Daimler-Mercedes-Benz (OTCPK:DDAIF) (OTCPK:DDAIY), Dongfeng Motor Corporation, Foton Motor Inc., FAW Group Co., Ltd., Guohong Auto, Hino Motors, Isuzu Motors Ltd, Mitsubishi Fuso, Navistar Inc., Nikola Motor, PACCAR Inc., Proterra, Renault (OTC:RNSDF), Smith Electric Vehicles, Tesla (TSLA), Volkswagen Group (OTCPK:VLKAY), Voltia, WrightSpeed and Zenith Motors. The electric truck boom is just beginning now. 2019 will see more, and more companies follow BYD, Tesla, Daimler and Volkswagen into the electric truck market. 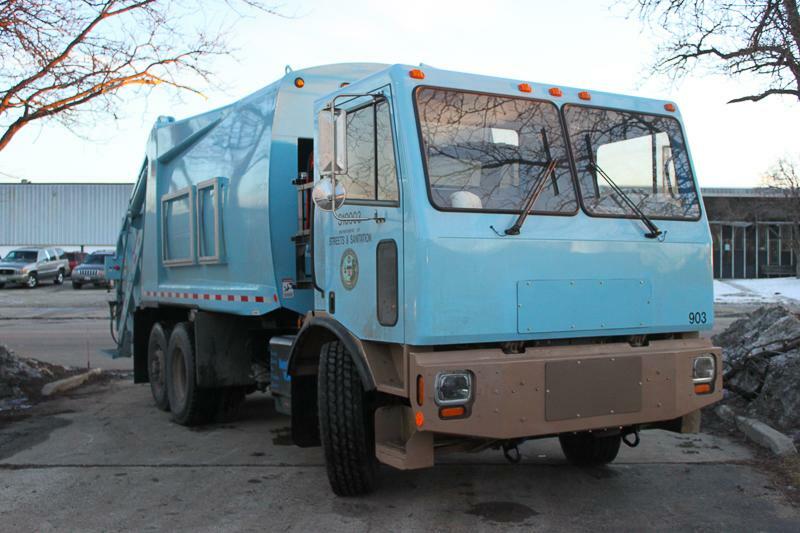 Electric trucks will soon come in all shapes and sizes - Semis, delivery trucks, garbage trucks, firetrucks, and so on. Added to this will be a huge number of electric transport vehicles especially in Asia, such as electric jeepneys, tuk-tuks, rickshaws and tricycles. Electric bikes are already immensely popular in China. In a future article, I may look at the best electric truck companies to buy. For now, the message is to know that a huge wave of electric trucks is coming along with what we know already - electric bikes, cars, taxis, buses, ships and soon planes. The implication for EV metal miners (especially lithium) is yet another driver of demand (electric trucks) is just around the corner. As usual, all comments are welcome. Thanks for reading the article. If you want to go to the next level, sign up for Trend Investing, my Marketplace service. I share my best investing ideas and latest articles on the latest trends. You will also get access to exclusive CEO interviews and chat room access to me, and to other sophisticated investors. You can benefit from the hundreds of hours of work I've done to analyze the best opportunities in emerging industries, especially the electric vehicle and EV metals sector. You can learn more by reading "The Trend Investing Difference", "Recent Subscriber Feedback On Trend Investing", or sign up here. Disclosure: I am/we are long BYD CO [HK:1211]. I wrote this article myself, and it expresses my own opinions. I am not receiving compensation for it (other than from Seeking Alpha). I have no business relationship with any company whose stock is mentioned in this article.